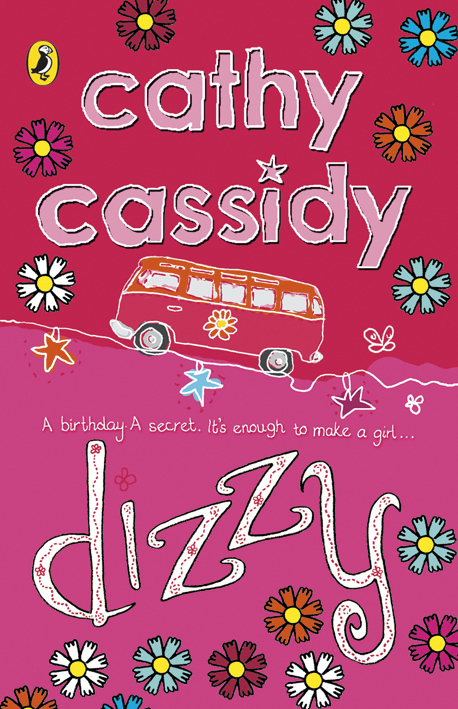 Dizzy is the first Cathy Cassidy book I've read and I was really impressed! I was gripped to this story from start to end and was willing on the characters every move. Dizzy's mum left her and her dad when she was just four years old. She doesn't remember but by then they had toured music festivals and signed on the dole-living on social security, buying Dizzy second-hand shoes and forgetting to brush her hair. Every year on her birthday something arrives in the post for her from mum. This year though, it's different-nothing arrives in the post but someone arrives on her doorstep-her mum! It's not how she imagined her, small, tanned, her hair so short it's practically shaven, not to be called mum or Linda but Storm. When her mum Storm reads Dizzy's tarot cards it says that her calm, cautious, ordered life is about to change forever. They predict adventure, travel and freedom. When Storm says that she wants to take Dizzy away with her for the summer-with five weeks still remaining in school-her dad says 'NO' but Storm has other plans. These plans are the thing that sets Dizzy world in a spin. steals from a beach shop. When they end up getting back to the festival they are staying at, Storm says they need to move on 'NOW' but why? What's the rush? When they move into Tess's place at Bramble Cottage, everyone is happy and safe. There is a tree house in the garden where Dizzy, Finn, Mouse and of course Leggit spend their nights under the stars. Storm and Zak tell Dizzy they are moving to India to help out Zak's brother but when Mouse says 'No' Dizzy decides to stay too. For Finn's birthday, he asks Dizzy if he wants to go down to the beach with him. This is where they finally KISS after playing the 'Dizzy Game'. (At that moment I was like YESSSS!) Dizzy realizes that this game came from a time long before afternoons on the field with her school friends. The part that turns the whole story around is when Mouse falls into the bonfire set up for Finn's birthday after trying to do a stunt on Finn's BMX. Finn follows him in and saves Mouse's life. This is when their whole story comes out and Mouse is taken into care. Finally, Dizzy's father comes to find her after Tess gets in touch with him. I'm so happy Finn and Mouse were okay and loved the ending to this book when Dizzy mentions that she knows that if herself Storm, Finn and Mouse look out of the window they will all see the Pole Star and this is how they stay connected. It says for ages 9+ on the back of this book but I think it should be for ages 10+. I know it's only a years difference but when somebody gets seriously burned, this is when the age moves up. This is the only reason I think it should be a book for children 10+. I really enjoyed this book, it had excitement, romance and you were willing on the characters at their every move. I would rate this book a 9/10 because the ending needed a bit more explanation for me. 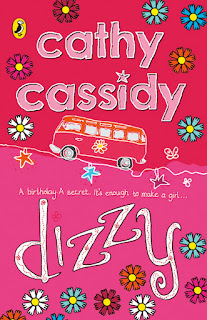 I would have loved to know what happened when all the characters met up again and what is happening with Dizzy and Finn, apart from that it was a great read!